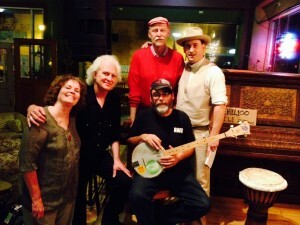 Nashville-based Shelby Bottom Duo (Michael August and Nell Levin) have launched a fundraising campaign with a goal of raising $5,000 to fund their Musical History of Joe Hill and the Early Labor Movement Tour and a companion CD of Joe Hill songs. The project includes live performances of Joe Hill songs recorded on the CD along with a talk about Hill’s life, early labor struggles and the influence of the IWW’s innovative organizing strategies on movements today. Their goal is to share this vital slice of labor history with a wide range people so that we can all better understand why the revolutionary creativity exemplified by Joe Hill and the Wobblies is still relevant.